Make your website visible to your audience by ranking higher. The first step of SEO is to perform a complete and thorough website audit. This tells us website issue’s such as the missing elements and crawl errors etc. A website audit is done both manually and by using SEO crawling tools. All reports are carefully analyzed and sent to the customer to review. This also includes an in-depth competitor analysis. We start implementing the Technical SEO signals into the website which allows search engines to detect and rank your website faster. This is done for every web page on the site. Some common errors are missing alt text to images, duplicate content, missing schema & OG Data, Incorrect site structure etc. Fixing errors helps boosting rankings and is essential. Link building is definitely a vital part of SEO. Once we eliminate all errors and are sure that the website is optimized to provide value to visitors it’s time to build relevant backlinks to the website. In this process we concentrate on getting links from authoritative sources of the dedicated business niche. How much time would it take to rank my website? A website’s ranking depends on the competition around the particular keyword, we have noticed that most of the keywords that have a mid level competition can be ranked in less than 3 months, however for highly competitive keywords we would need to perform an in depth competitor analysis also create dedicated signal strengths, content optimization, high domain authority links and get them indexed which may take close to 6 months. All in all it’s worth it, as in those 6 months you would grow your website authority, build online reputation through our review management and social media management, also have a well ranked website on search engines that will drive you ton of business. As a professional seo company very competitive prices for highly skilled SEO services provided by experienced SEO professionals and the cost behind this can range anywhere between $600 to $1500. It totally depends on how much work is involved behind your website, if we find high competition in your region and field then we have to step up our game and make sure we build links from sources that is admired by search engines such as press releases and media links, .edu & .gov links and many more such effective strategies are taken to get you ranked. Our aim is to work hard and provide you with higher traffic, engagement & more clients, most of our clients have seen a revenue growth of approx. 40% in the first 3 months of hiring us. Will I be able to monitor the SEO process? Yes, you will be provided with regular updates either in every 30 days or in every 15 days. As a customer we send you periodic updates and reports to analyze and also provide access to SEO tools to monitor your rankings at all times. We do not charge you anything extra for these tools as these are part of your plan and mostly are free ranking monitoring tools. We work on multiple keywords and try to rank specific web pages for those keywords which is shared prior we start working on the site. Lastly, we have a 24 hour support line and you can call us anytime. How long do I need to invest in SEO? You have the complete authority to start and end the SEO work however we always recommend our clients to keep optimizing their website either through us or themselves. We need to understand that your competition may not have stopped their SEO process and is looking for new opportunities to beat you every single day. If you think of stopping the SEO process we can provide you with an easy DIY list to keep the site relevant and on top of the search results. Sometimes for a few of our customers we do a LIVE SEO audit via Hangout and YouTube, this enables them to know upfront the missing elements on their website and everything that needs to be fixed on the website. Here are some of those SEO audits to showcase how an SEO audit works. Our main focus is to utilize SEO to grow your business and bring in higher traffic and returns to you. The key to SEO is to understand the audience that we need to serve to and use SEO strategies to present the business in front of the potential customers in a natural and strong way. This is tend to grow the reputation and market value of the business. 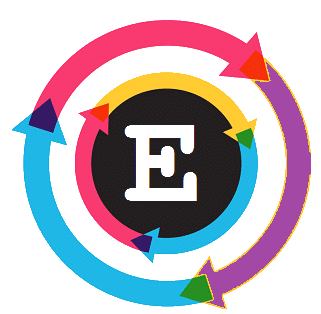 SEO services offered by Egchi Inc are affordable and effective for your business, we have a proven track record and deliver successful results at all times.